It’s that time again, that one special day that happens once a year – your birthday. 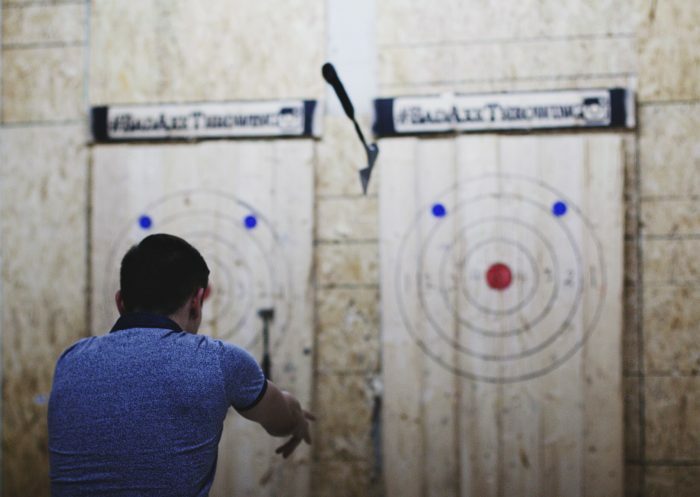 Here at Bad Axe Throwing Kitchener we know the challenges of getting stuck in the same routine; same bar or restaurant, another movie or just deciding to stay in. We are one step ahead because we think a day – all about you – is a day worth celebrating with a bang. Booking a Bad Axe Birthday is truly one of a kind. It’s the opportunity to really step it up a notch. A place where you can discover the true warrior that lives within you. A place where the smell of fresh lumber will soothe you. A place where throwing something never felt better. A place where the culture of axe throwing comes alive. The thrill of releasing an axe and the anticipation of hearing that loud thud when it hits the target will keep you buzzing the entire time. It is more than just you and your friends hanging out, it’s freedom. Throwing an axe and letting go of all the stress is a true fountain of youth. It recharges you! 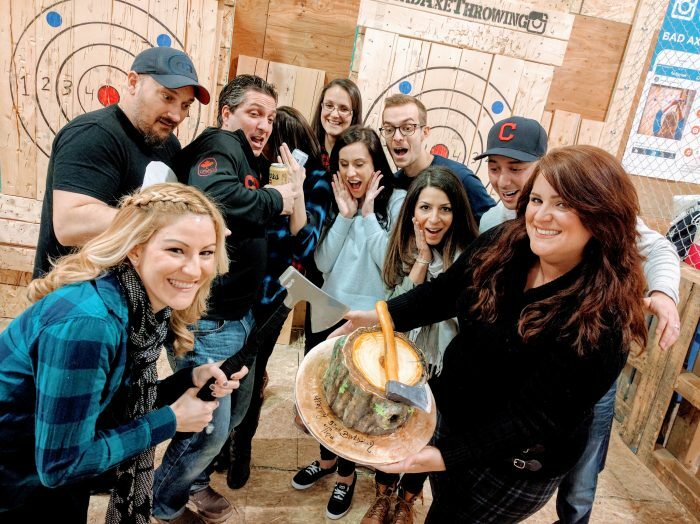 Here at Bad Axe Throwing Kitchener we are very passionate on having fun and creating memorable experiences. Celebrating you is one of our specialties. Your day is important to us and we are dedicated to have you smiling long after the party is over. We also know that a birthday just isn’t the same without food and drinks. All of our parties are welcomed to bring any food that makes you happy and drinks that keep you hydrated. And incase you’re wondering if you’ll have to juggle holding everything, don’t worry. Our venues are equipped with tables and chairs to keep you comfy and fridges to keep things chilled. Regardless of how old you are turning, whether you’ve even held an axe, or are thinking you’ve lost your birthday mojo, we are pumped to give you an awesome time. We are dedicated on making your birthday full of laughter so contagious that you’re whole group will be roaring with fun. All of our parties are hosted by amazing coaches that will guide you every step of the way. They are committed on ensuring safety comes first but fun will not be compromised. They’ll get you comfy throwing, give you tips on improving and incorporate some really cool games. When we play, we are serious about it and do not shy away from competition. But don’t worry, our judges are neutral, may the best lumber jill or lumber jack win! So bring your birthday cake and let us help celebrate your day with an awesome exciting twist.